The first thought of West Delhi’s Rajouri Garden lanes frames around shopping, big brands and exclusive restaurants that serve the typical Punjabi istyle Dal-makhni and Butter Chicken that you will not find wherever else in the city. The families come together to enjoy the distinctive Punjabi cuisine known for its rich and buttery flavours. Aanch – the premier dining and entertainment destination located in the exclusive Shopper Stop Mall in Rajouri Garden, devoted two months in extensive trials to merge new flavours that defy cultural expectation of classical dishes and yet creating something extraordinary. Started by three visionaries, Late Deepak Chadha, Bhuvnesh Bhalla and Brajesh Kapoor couple of years back, Aanch has earned a reputation for excellence in its culinary endeavors in the West Delhi area. For Bhuvnesh Bhalla who is a Management professional, it was a thought that triggered during one of the cricket matches. This turned out to be a dream project which has now become his passion. From the robust flavours of North India to now the delectable flavour of fuzified dishes, all paired with awesome ambience, Aanch offers an inspiring dining experience. The new 25 dishes to be launched soon in this restaurant (1st August to be precise) recognizes that the ingredients might be local, but flavour and texture should be of universal taste. “At Aanch, we not only offer a variety of cuisines to choose from, but also various seating options depending upon customer’s mood, taste and age. We have sections suitable to all ages”, added Mr. Bhalla. So we started on a mission to try the new fuzified flavours and here is the account of our visit. Our meal at Aanch started with tangy mocktails, Tulsi and Melon Fantasy made of Holy basil leaves, fresh water melon chunks, water melon syrup & lime juice muddled together, topped with soda and Very Berry Slush made up of Red berry puree, black current strawberry syrup, cranberry juice & lime juice mixed together and served over crushed ice and topped with banta soda. 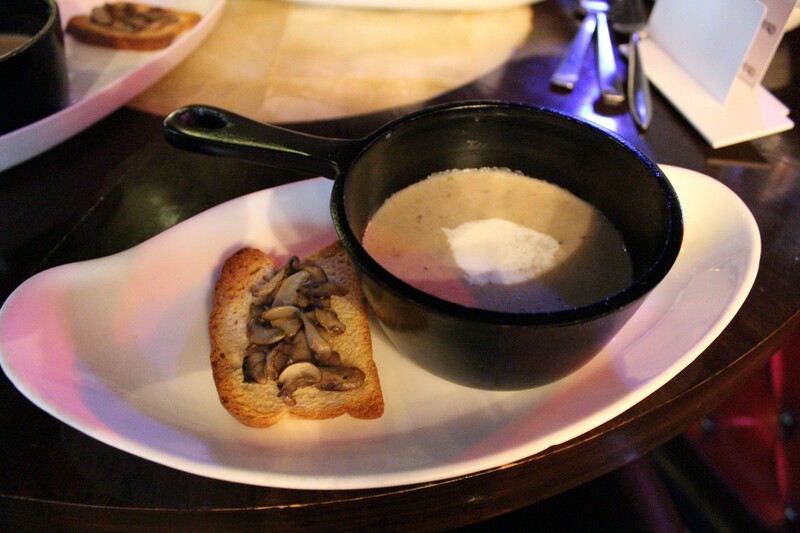 Next on the platter was soup termed as “Mushroom Cappuccino”. My husband is fond of mushrooms and we could not escape trying this creamy hot dish that totally moved our senses. 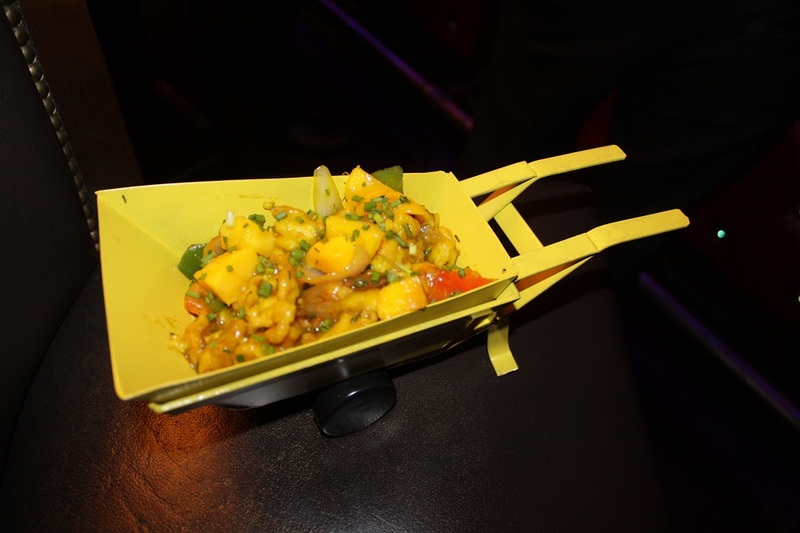 This was continued by a series of veg and non-veg starters with fuzified taste that kept us inquiring to look for more interesting combinations such as Mango Chicken and Gabbar ke Sholey. Who had thought that the Mango will go well with Chicken but it will come out to be perfect! “We would like to offer more such options using more of seasonal fruits. It provides a little sweetness and seasonal flavor to the dish. Mango was our obvious choice for this season”, said Mr. Bhalla. 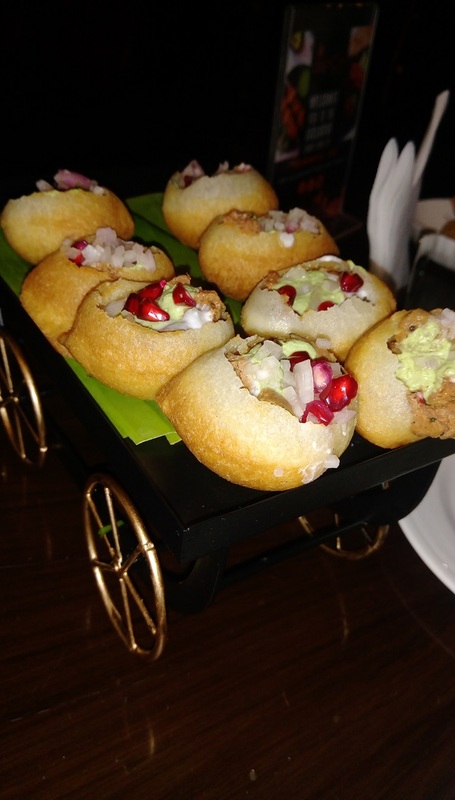 Chef Aashish Massey and his team did a commendable job in adding a twist to our very own Mughlai cuisine dish, Galouti Kabab and complimenting it with Golgappe – a rare combination of minced meat and rough and tough Golgappas. It looks fantastic and was definitely our number one choice of starters. We wished to have continued munching more and more of golgappas. 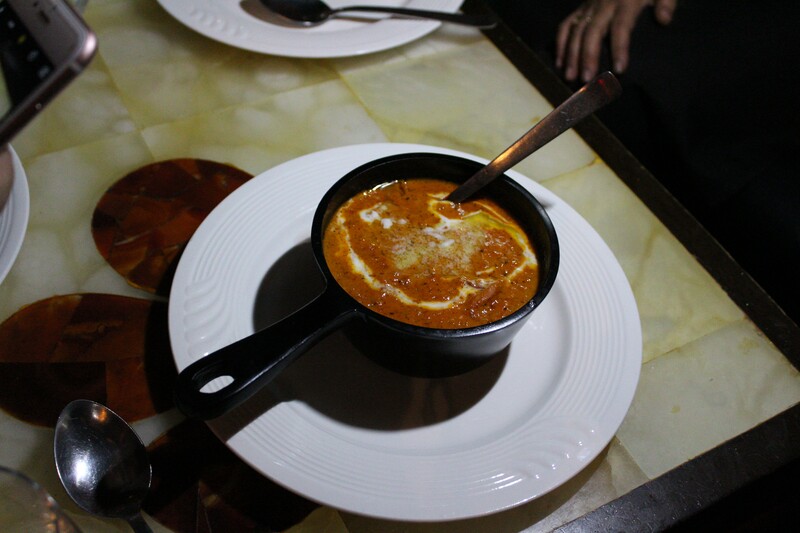 We felt that the non-veg menu has an edge over the veg menu. Some dishes like Mahabali Paneer tikka, Chilli Chicken Pao, Jerk Chicken and Paneer Khumb Makhanwala Pao were reasonably okay but others were even better. Till we started the main course, we were already filled that much. Still it could not stop us to taste the signature dishes. Full marks to all four new menu options in the Main course, especially Haleem and Creamy Gosht, were fortified with the right flavors and tenderness. 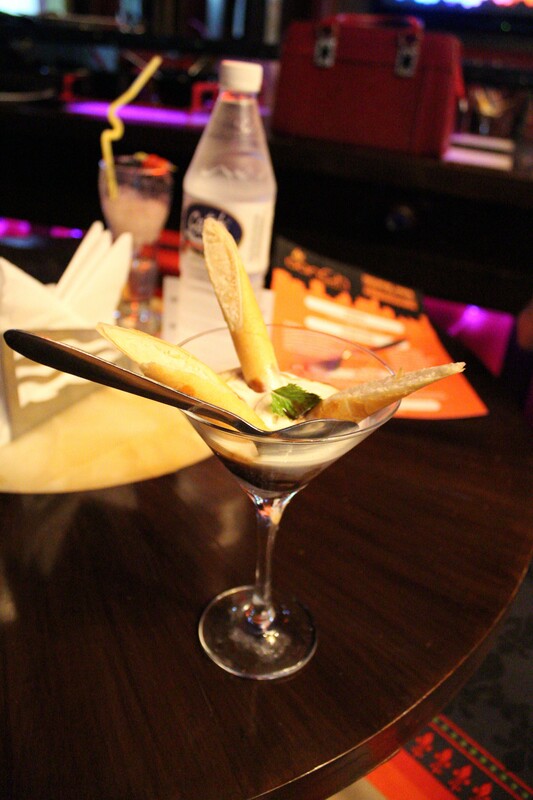 We fell in love with the dessert – coconut cigars with ice-cream. A perfect match of sweet coconut flavored crispy rolls personified with vanilla ice-cream, was quintessentially the core of this Fuzion exercise! A must visit for someone who loves to try something new! All we can say is that it was a perfect weekend well spent with mouthwatering food and amazing drinks! Come and get spoiled at Aanch, Rajouri Garden!